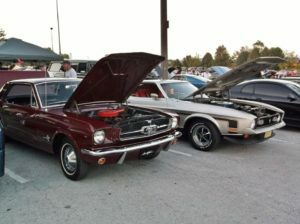 Friday Night Thunder – Somerset Mall – The Somernites Cruise Friday Night Thunder will continue at Somerset Mall (stoplight #23 on US 27), Somerset, KY, 5pm-9pm. Continue to receive even more of what you've come to enjoy on Friday nights...live music, inflatables for the kids, prizes and of course hundreds of classic hot rods! As always, admission to the event is FREE! Call 606-678-4157 for more info. 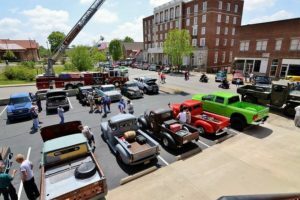 Somernites Cruise Car Show and Cruise – Downtown Somerset - Join us every 4th Saturday, April through October, in Somerset “The Car Cruise Capital of Kentucky” for Somernites Cruise. 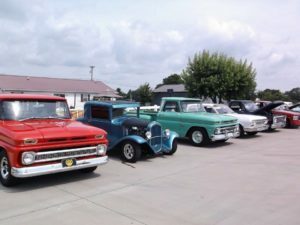 June will feature “Tri-Five Chevy Showcase”. Enjoy a relaxed, family oriented atmosphere throughout downtown Somerset. 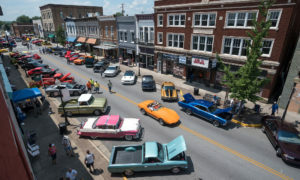 The "Show and Shine" portion of the event lasts from 1 p.m. to 7 p.m. "Cruising the Strip" begins at 7 p.m. For info about the Cruise and Cruise weekend activities visit www.somernitescruise.com or call 606-872-2277. 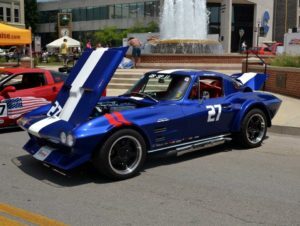 Friday Night Thunder – Somerset Mall 5pm-9pm - The Somernites Cruise Friday Night Thunder will continue at Somerset Mall (stoplight #23 on US 27). Continue to receive even more of what you've come to enjoy on Friday nights...live music, inflatables for the kids, prizes and of course hundreds of classic hot rods! As always, admission to the event is FREE! Call 606-678-4157 for more info.